The U.S. Food and Drug Administration has signed off on the first ever transition contact lenses, which will get darker when the wearer is out in sunlight. "This contact lens is the first of its kind to incorporate the same technology that is used in eyeglasses that automatically darken in the sun," the FDA's Malvina Eydelman said in a press release. The agency tested the new transition contact lenses on 24 patients to make sure there were no problems with driving during the day and at night. None of the users reported any trouble with the contacts prior to the FDA's announcement, CBS New York reports. The Acuvue Oasys transition contact lenses are from Johnson & Johnson Vision Care, Inc.
"This innovation was born out of deep research into consumer lifestyle needs," Dr. Xiao-Yu Song, head of research and development for Johnson & Johnson Vision, said in a statement. "We are excited to bring to market a solution to help contact lenses wearers manage the changing light conditions they face every day in their modern, active lives." Song said the product development took more than a decade and involved "numerous clinical trials involving more than 1,000 patients." Johnson & Johnson says the new lenses will hit the market during the "first half of 2019." 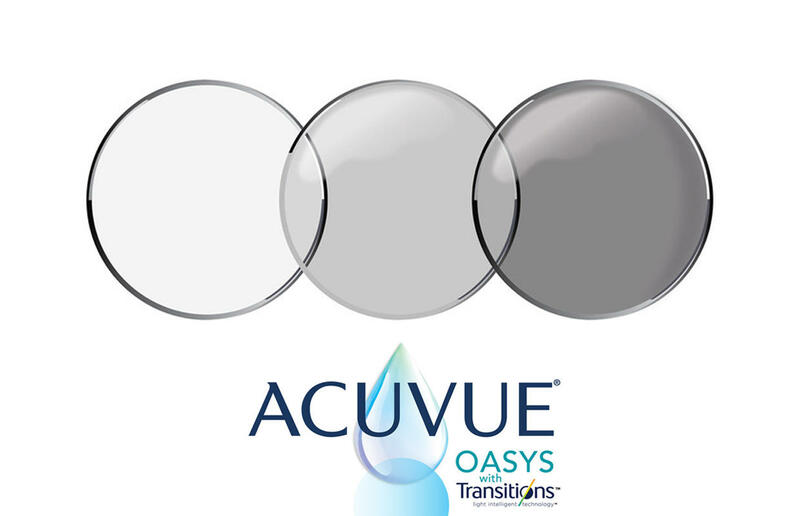 The FDA says that the Acuvue Oasys lens will be capable of daily use for up to 14 days, but warned that users should not sleep with them or expose them to water. Ravi Goel, M.D., clinical spokesperson for the American Academy of Ophthalmology, calls the transitioning lenses "interesting technology" but said he has concerns when it comes to excess sun exposure, which can put people at risk of eye damage. "If your eyes are exposed to strong sunlight for too long without protection, UV rays can damage the cornea and adjacent tissues. Long-term sun exposure has also been linked to an increased risk of cataracts, macular degeneration and growths on or near the eye," Goel told CBS News. "So it's a serious issue and one that shouldn't be ignored. Patients should be told clearly that these contact lenses will not provide UV protection" to the entire eye and adjacent structures. Johnson & Johnson Vision responded that its Acuvue Oasys contact lenses meet the FDA's Class I standard by blocking 99.9 percent of UVB and 99 percent of UVA. "Our new lens will even extend our coverage of UVA beyond our current Oasys standard," the company said. But it adds that since contacts only cover part of the eye, additional protection is advised: "We are still strong supporters of complete UV protection as noted on our product label where we strongly suggest the use of a wide brim hat and proper skin coverage with an affective dermatologic sunscreen." Goel also recommends taking steps to protect your eyes from harmful UV rays, including not looking directly at the sun, wearing a hat, and investing in the proper sunglasses. "Look for sunglasses labeled 'UV400' or '100 percent UV protection,' which block both UVA and UVB radiation, which will protect you from about 99.9 percent of UV rays. You may not get this quality of vision with contact lenses, whether or not they have transitions. I personally wouldn't go near the water or spend time in bright sunlight without wearing my polarized sunglasses."